Home » Best Of The Best » Best Maybelline Mascara: Reviews & Comparison! 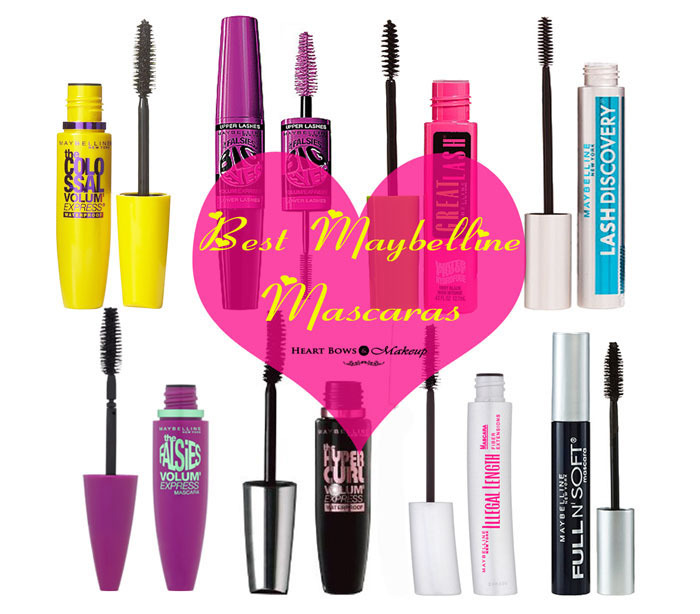 Best Maybelline Mascara: Reviews & Comparison of the Best Lenghtening & Volumizing Mascaras! Not all are blessed with long, voluminous & flutter worthy eyelashes hence thank goodness for mascara. Whether you are looking for defining, lengthening, curling, volumizing or plumping eye lashes, there are a ton of brands in the market which cater to these necessities. But there is one brand which we simply adore here on HBM (you should totally checkout our recommended Top 10 Best Maybelline Products), when it comes to investing in mascara is Maybelline New York India. Maybelline does an incredible job when it comes to mascara, they have one for every need and most importantly these mascaras are pocket friendly. Given the shell life of one(about 3-4 months) & since there is no direct co-relation between price & quality of their products, we think it’s wise to stick to budget options. So, here are the Best Maybelline Mascaras available in India & internationally which are a must try. Maybelline The Colossal Volum’ Express Mascara (Price Rs. 350): One of the first mascaras from Maybelline to enter the Indian market and it stil is a hot selling product. Maybelline The Colossal Mascara is said to have their patent Mega Brush which eludes clumping. This Mascara is perfect for those who are longing for plump & voluminous eyelashes. It is available in both water-proof & washable variants. Maybelline Volum’ Express The Falsies Mascara (Price Rs. 475): In my opinion, the best mascara ever. It has a spoon shaped applicator which ensures every single lash is coated evenly, without getting clumped. 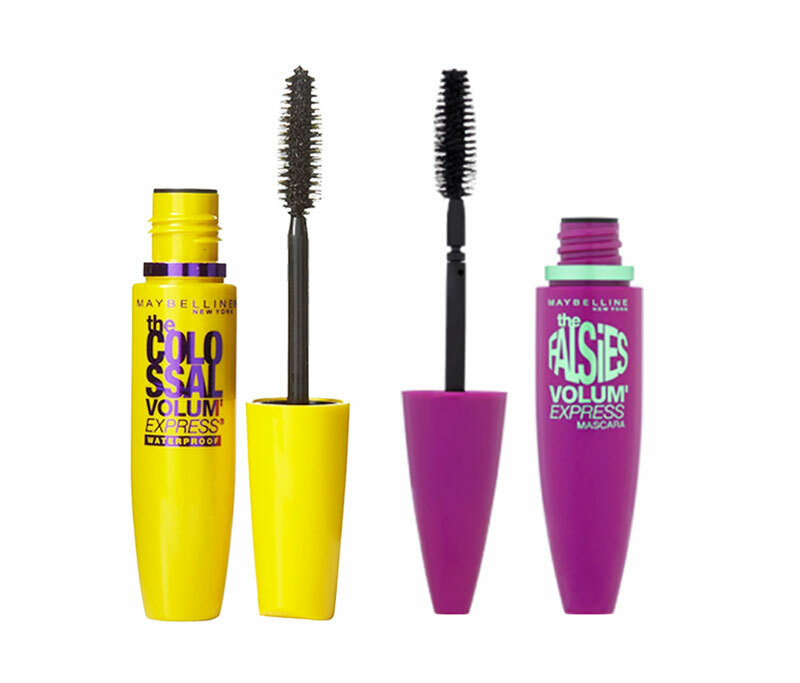 This is the best voluminous & lengthening Maybelline mascara and stays smudge proof for long hours. It is your best bet for thick lashes be it for a party or a night out. 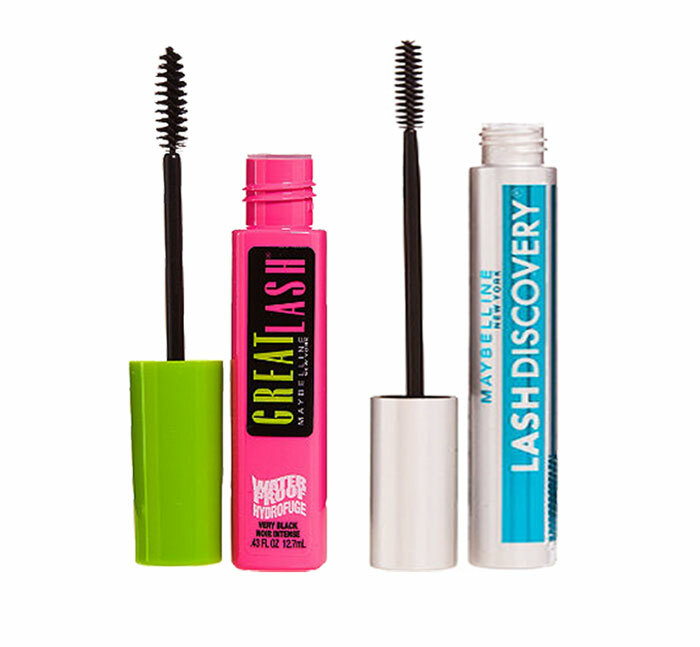 Again, the Maybelline Falsies Mascara is also available water-proof & washable variants. Maybelline The Falsies Big Eyes Mascara (Price Rs. 599): This is a new entrant in the Indian market but Maybelline The Big Eyes Mascara has already created a stir in the international market. 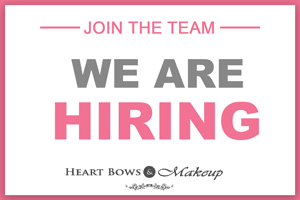 It comes with a dual brush applicator, a thick one for upper eye lashes and a smaller brush for lower eye lashes. Both the applicators are very practical to use but the tiny brush is a gem, it coats the teeny – tiny lower eye lashes to perfection. The formula is gel-like, and this mascara does not smear or flake for hours on an end. 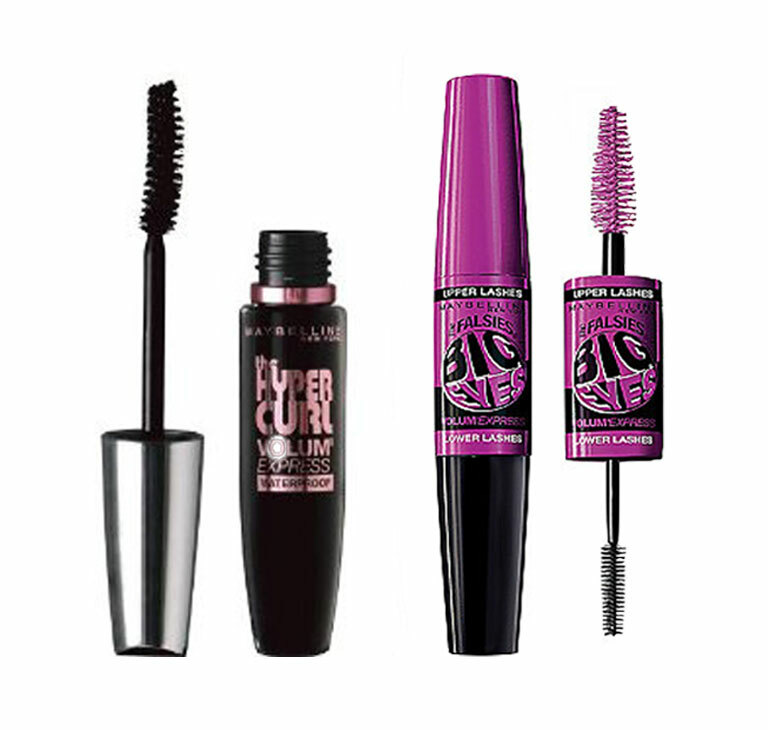 Maybelline Hypercurl Volum’ Express Mascara (Price Rs. 275): A great option for everyday mascara, it has a curl lock formula which curls the eye lashes and gives a fuller effect to the lashes. The mascara is easy to layer and stays put for long hours. It open up the eyes and makes you look wide awake & fresh instantly. Maybelline Full & Soft Thick & Healthy Mascara (Price $ 7.99): As the name suggests, it adds volume & length to the roots of the lashes without making it stiff in the process. The result is soft, plump & thicker lashes. The brush is designed in such a way that it separates each lash without clumping. This is not available in India but totally worth a try incase you get the chance. Maybelline Great Lash Mascara (Price $ 5.99): One of the earliest mascaras by Maybelline which comes in the girliest packaging. This variant has both ardent fans & haters. Some love it for everyday wear and the clump free formula while those wanting full & voluminous lashes might be left a bit disappointed. One thing is for sure, this separates & defines the lashes like nobody’s business. Maybelline Lash Discovery Mini Brush Mascara (Price $ 7.99): This mascara has an innovative mini brush which is not only great for lower lashes but is equally good for upper lashes by making it so convenient to reach the inner most corner of the eyes. The mini brush is practical to hold, curl & add volume to each and every individual eye lash. So, the big question. 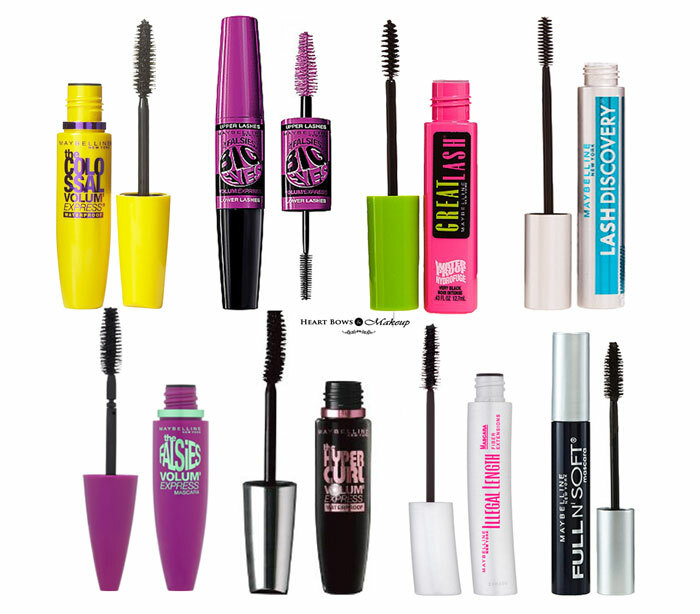 Our highly recommended Maybelline Mascaras? It has to be a tough fight between the Maybelline Colossal Mascara & The Falsies. 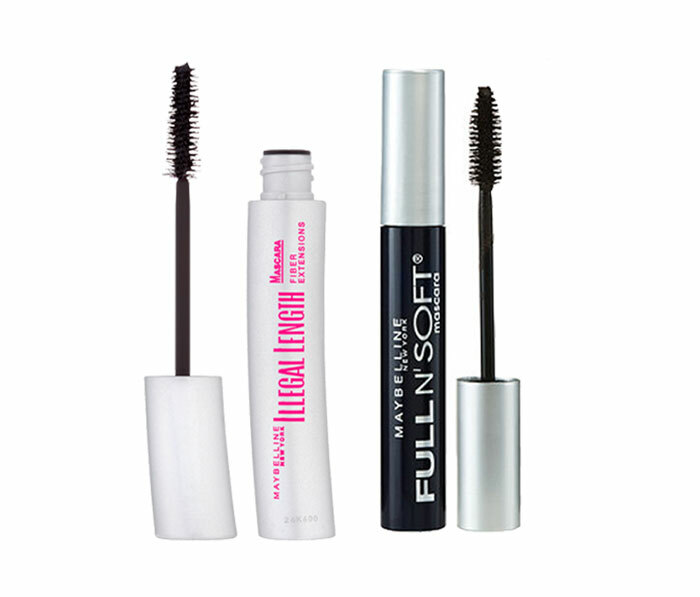 These both work extremely well on thin & sparse lashes and give a great volume & curl! So, these were our top picks as the Best Maybelline Mascaras, please do comment below and let us know if we have missed out any good mascara from Maybelline. Finally, girls we say, you may ditch your eye shadows and eye liners but never skip the mascara. It amps up your eyemakeup to a polished look and instantly opens up your eyes!